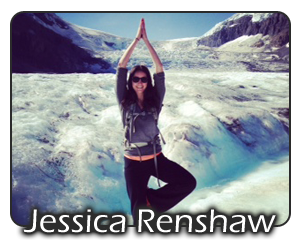 The Renshaw Wellness Collection is a vision co-founded by Carly and Jessica Renshaw; sisters who are third generation in their family’s luxury travel company Renshaw Travel. With education in nutrition and kinesiology the sisters believe in the transformative power of travel and use unique wellness travel experiences as catalysts to living a healthy life. They are your Wellness Travel Consultants. They offer their clients high quality destination experiences with an emphasis on improving personal well-being all while expanding one's perspective on the cultural and environmental intrigue of this beautiful world. They have a collection of wellness resorts that have been carefully hand-picked. They have been chosen because the resorts’ philosophies aligns with Carly and Jessica’s when it comes to wellness. Some of these properties include: Kamalaya Wellness Sanctuary, Chiva-Som International Health Resort, SHA Wellness Clinic, Miraval Resort, Canyon Ranch, Ananda in the Himalayas and Como Shambala Estate. They also collaborate with other experts in the health industry such as nutritionists, personal trainers, yoga instructors, life coaches and naturopathic doctors to name a few for who they create custom group itineraries to lead. Most recently Life coach Shayla Roberts with Evolution Coaching lead a 100th anniversary celebration of the Tour de France. She took her group on the some of the same routes the professional cyclists ride during the race in the Pyrenees’. Finally, the sisters work with doctors and nurses who need continuing medical education (CME) credits. Some of their hand-picked resorts, like Canyon Ranch, offer CME credits. Each day there are lectures held by doctors, acupuncturists, nutritionists and/or psychologists and the doctors and nurses obtaining their CME credits get their hours signed off. As Vancouver’s longest running luxury travel agency, Renshaw Travel has developed preferred partnerships with the world’s most acclaimed hotel and resort properties, in addition to providing extremely personalized and attentive service. It is through these trusted relationships that they are able to provide their clients value added amenities such as: room upgrades upon booking, complimentary daily breakfast and resort credits. 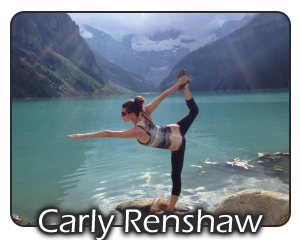 Growing up around health conscious parents and playing competitive sports, Carly has always had a passion for health and wellness. In pursuit of that, she studied extensively, first receiving her Bachelor of Science Degree (BSc) with a focus in Food and Nutrition from the University of British Columbia and more recently graduating from the Canadian School of Natural Nutrition as a Registered Holistic Nutritionist (RHN).